John Powers McGill, 92, passed away peacefully at his home in Orange, CT on Tuesday, October 30, 2018. Born at St. Elizabeth’s Hospital in Dorchester, Boston on April 28, 1926, he first resided in the Bronx with his parents Charles and Colette and in later years in Fairfield, CT, joined by his sister, Martha. After graduating from high school at age 17, John joined the Navy, where he served as a submariner from 1943 to 1946, and then went on to UConn, where he met the love of his life, Marcia McGill. They were married for 57 years until her death in November 2008. After graduating in 1951 as an economics major, John worked at Sikorsky Aircraft where he sold everything but the aircraft itself until he retired in 1989. 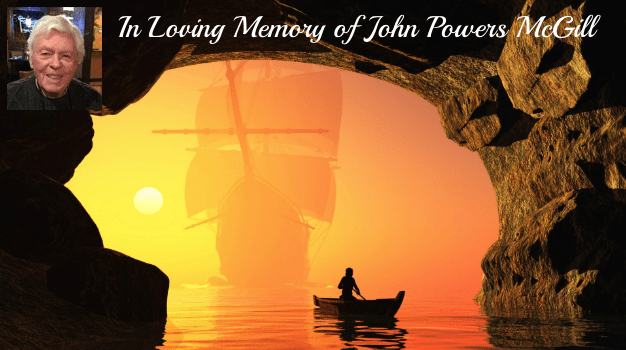 In his free time, John followed his love of the sea and was an avid small boat sailor who spent many hours navigating harbors from Maine to the Carolinas with Marcia and their friends. After he retired from Sikorsky, John was a tireless advocate for mental health care, in particular through his involvement with Bridges Healthcare as a board member who filled many roles. Most of all, John loved to spend time with his family and friends, listening to their stories and telling his own, listening to music, dancing and discussing politics. He is survived by his three children, David (Peggy), Sarah (James Silberstein) and Paula; his five grandchildren; his four great-grandchildren; his sister, Martha Thornley; and many nieces and nephews. All services will be private. In lieu of flowers, his family welcomes donations to Bridges Healthcare, 949 Bridgeport Ave., Milford, CT 06460 or at www.bridgesct.org. The family is being cared for by CODY-WHITE FUNERAL HOME. To leave online condolences, visit www.codywhitefuneralservice.com. Anthony L. Olivieri, 80, known by everyone as Tony, went to the Lord on August 17, 2018, while surrounded by his family. Tony was born Anthony Leonard Olivieri, on January 1, 1938, in San Marco la Catola, Foggia, Italy, to Nicolangelo Olivieri and Michelina Cappelletta. He graduated from Notre Dame High School, in West Haven, and attended Teachers College of Connecticut for 4 years, before being drafted into the U.S. Army. He completed basic training at Fort Dix Army Base, NJ. He completed his medical training at Fort Sam Houston, in San Antonio, TX, and Fort Ord, CA, before being transferred to Fort Bliss, in El Paso, TX, where he would meet, fall in love with, and marry Donna, his wife of 56 years. He also served overseas in Germany and would finish his military service at White Sands Missile Range, NM. After he was honorably discharged, he moved his growing family back to Orange, CT, to be closer to his parents. He decided that he liked the warmer climate of West Texas better, and moved his family back to El Paso, where he ran a Medical School, and Construction business before finding his true passion for cars. He was the Sales Manager for several automotive dealerships in El Paso, and owned Tony’s Pizza, in Ruidoso, NM, before relocating to Conroe, TX, where he was in Management for several dealerships including Weisner Automotive Group, Smith Honda, and Noble Automotive Group. Tony has been a Parishioner of Sacred Heart Catholic Church, in Conroe, TX, since 1985. He was also a member of the Knights of Columbus, in Anderson, and Conroe, TX. He attended Manresa House of Retreats, in Convent, LA, for 17 years. Preceding him in death were his parents, Nicolangelo and Michelina C. Olivieri. Tony is survived by his wife, Donna K. (Bowling) Olivieri; sons, Deacon Mark N. Olivieri and wife Lisa, Anthony E. Olivieri and wife Cynthia, Joseph M. Olivieri and Matthew L. Olivieri; grandchildren, Nicholas D., Philip J., Ryan C., Julie A., Michelina R., Gabriella M., Cheyenne, and Brooke C. great-granddaughter, Sophie. He is also survived by 7 sisters-in-law and their families who loved him dearly. Visitation will be held from 05:00 – 07:00 p.m., with a Rosary starting at 06:00 p.m. on Sunday, August 26, 2018, at Cashner Funeral Home, in Conroe, TX. A Funeral Mass will be held on Monday, August 27, 2018, at St. Mary’s Catholic Church, in Plantersville, TX, at 10:30 a.m. with Father Edward C. Kucera, Jr., Father William T. Kelly, and Rev. Philip Wilhite, celebrants. In lieu of flowers, please donate to the Sacred Heart Catholic Church Building Fund, in Conroe, TX. Herbert John Zurstadt passed away March 22, 2014. He was born 1/14/21. He suffered from Alzheimer’s. He is survived by a loving daughter, Stephanie P. Laird, who resides in Branford, CT; and a son, Andrew K. Zurstadt, who lives in Coral Springs, FL. He also has two grandchildren, Michela Zurstadt and Colin Zurstadt; his son-in-law, Bradford Laird Sr.; and his daughter-in-law, Wendy Zurstadt. He died at Talmadge Park in East Haven, CT, but lived in Orange, CT until three years ago. He worked as an Engineer at Dresser’s Industries. Our father was gentle, humble and very kind. He is a very loved man and leaves us wonderful memories. He is at peace now with his wife (Betty) and his brother and sisters. A small memorial for immediate family and close friends will take place on May 17 at the Orange Congregational Church at 10:00 a.m.
Arnold J. Facenda, 70, of Orange passed away peacefully on December 2, 2013, with his family by his side. He was the beloved husband of Mary Ann Ferris Facenda. Proud and loving father of John (Melissa) Facenda and Darcy (Steven) DeMaio. Grandfather of Leah and Lauren Facenda, Lily, Julia and Matthew DeMaio whom he loved and cherished with all his heart. Brother of Dennis (Lynn) Facenda and the late Giselda (the late John) Gill. He also leaves behind many relatives and lifelong friends. Son of the late Arnaldo and Julia Olivieri Facenda, Arnie was a firefighter for the West Shore Fire Department. He was a U. S. Navy veteran and served in Vietnam aboard the USS Kitty Hawk. Arnie enjoyed being a member of the Marchegian Society and its’ Sportsmen’s Club. He was a talented builder and skilled craftsman. Arnie enjoyed listening to country music, riding his tractor, taking Bingo to the dog park and spending time with his grandchildren. The family wishes to thank Dr. Harold Tara and his staff at Smilow and the entire staff on Verde 4-West for their exceptional compassion and care. The hours for visitation will take place Thursday from 4 to 8pm at the West Haven Funeral Home at the Green. His funeral procession will leave the funeral home Friday morning at 10:30. A Mass of Christian Burial will be celebrated in Our Lady of Victory Church at 11:00. Entombment, with military honors, will follow in Mt. St. Peter’s Cemetery, Derby. Terry J. Munk, age 66, beloved husband of Jacqueline Wozniak Munk, loving father, and longtime resident of Milford, passed away peacefully on Monday, September 2nd, 2013 in his home. Born in Chicago, IL on August 24, 1947, he was the son of the late Donald and Kathryn Le Conte Munk. 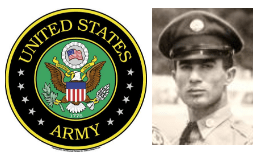 Terry served with pride and honor in the United States Army and was awarded the Army Commendation Medal and Bronze Star for his service in Vietnam. He was also a graduate of Southern Illinois University. Throughout his extensive working career Terry was President and Owner of Appaloosa Trading Company and Appaloosa Custom Products and Managing General Partner of the Connecticut Skyhawks. He served his community as a member of the Board of Alderman (Chairman 1994-98), Drug Free Milford (President 1991), Greater New Haven YMCA Board of Directors, United Way of Milford (President 1990-92), Milford-Orange YMCA (Chairman 1989-91), Milford Oyster Festival Committee (President 1979), and the Korea-Vietnam Memorial Committee. He was an active member of many professional organizations including the Milford Chamber of Commerce (President 1986-87), Advisory Board Bank of Boston, and the NFIB Action Council. 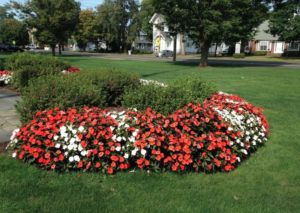 Terry was also a member of the Milford Rotary Club (President 1990 & 1995), the Milford Club, the Republican Town Committee, and Ansantawae Lodge No. 89, A.F. & A.M. In addition to his wife Jackie of 39 years, “Pops” is survived by his two children Christopher Munk and wife Emily, and Michael Munk and wife Meredith, of Milford; three grandchildren Bodhi, Xavier and Adelysia; sister Marcia and husband Charles; brother Richard and wife Connie; brother-in-law Jacques Wozniak, and several nieces and nephews. Friends and family may call on Friday, September 6th from 4 to 8 pm at the Cody-White Funeral Home, 107 Broad St., Milford, CT 06460. A service will be held on Saturday, September 7, at 11:00 am at the Cody-White Funeral Home, followed by full Military Honors. Interment will be private. In lieu of flowers, memorial contributions may be made in Terry’s name to “Rotary International” and mailed to Tracy O’Brien – Rotary Foundation Chair, Milford Rotary, PO Box 381, Milford CT 06460. John Edward “Jack” Murphy, 78, of Orange died suddenly on Monday, August 19, 2013 in the Hospital of St. Raphael. He was the devoted husband of 57 years to Alice Walsh Murphy. Jack was born in Derby on November 13, 1934, son of the late John J. and Kathryn (Coss) Murphy, and has been an Orange resident for many years. Jack was a veteran of the US Navy serving his country during the Korean Conflict. He was the former President of Murphy Ford Sales, Inc. and later the General Manager of the CT Warehouse Distributors. He was a Certified Commercial Flight Instructor and enjoyed flying in his spare time. Jack had a great sense of giving back to the community. He was a past Grand Knight and a 4th Degree Knight in the Trinity Council in Woodbridge, a former board member of the Valley Chamber of Commerce, a board member and past president of the Rec Camp in Derby, a member and past President of the CT Ford Dealer’s Association, a board member of the National Air Disaster Alliance and a member of the Ancient Order of Hibernians in Derby. Jack’s greatest love was supporting his children’s and grandchildren’s endeavors. He is the beloved father of Ellen DiVerniero and her husband Steve, Susan Murphy and her husband Ken Sokoloski, and the late John Edward Murphy, Jr. He is the cherished grandfather of Callie, Hanna, and Mattie Sokoloski, the loving brother of Barbara Ford and her husband Edward, and the late Donald Murphy. He is the brother-in-law of Maureen Murphy. He also leaves several nieces and nephews. Friends may greet his family on Thursday from 5 to 7:30 PM in the Edward F. Adzima Funeral Home, 253 Elizabeth Street, Derby. On Friday his funeral procession will leave the funeral home at 10:30 AM for a Mass of Christian Burial at 11:00 AM in Holy Infant Church, Orange. Burial with full military honors will be at Mt. St. Peter’s Cemetery.